Peacock painting by David Kigozi (Uganda). 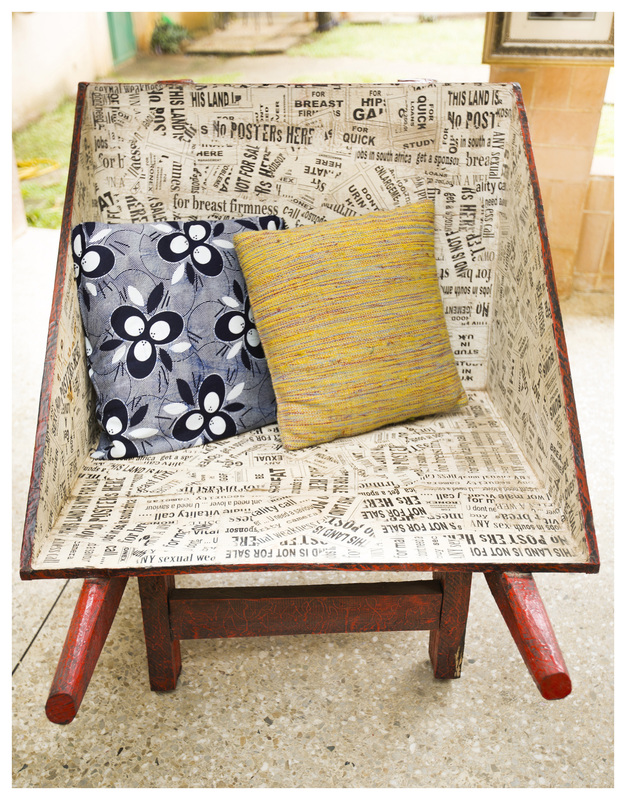 Butterfly chairs from Zina Boutique, Tunisia. An outdoor living room is the perfect reception area for guests as well as a play space for Furaha’s children. Aluminium plated nailhead wheelbarrow chair by Ronex (Uganda). Upper terrace leading into the main living room. Lamp by Collin Sekajugo. Paintings by Edson Mugalu (Uganda). Sculpted chairs by Donald Wasswa (Uganda). One of Furaha’s three living areas on the first floor. Paintings by Ronald Kerango (Uganda). Hide chairs from Rock the Kasbah. Tablescape décor from St. George’s of Ethiopia. Furaha’s massive living room of nearly 80m2 is divided into three distinct conversation areas. The middle section features Eames chairs, a floor lamp by Zina Boutique (Tunisia); chandelier by local North African artisans, rattan chairs by Cocody Factory and wooden thrones sourced from the craft market in Dar es Salaam. 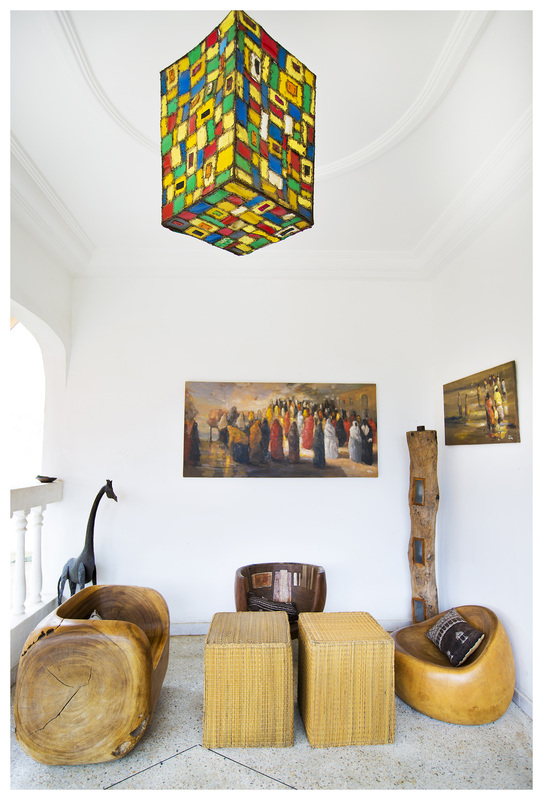 Glass bead chandelier by Green Room, Tanzania. 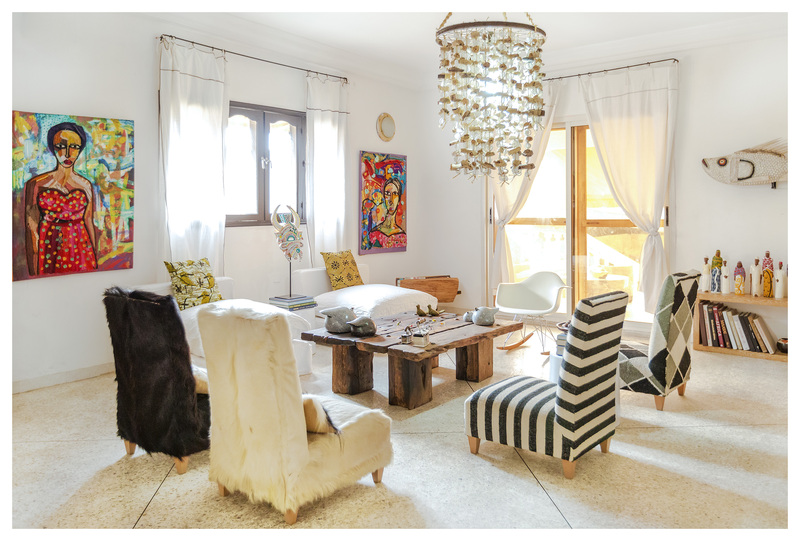 Rattan chairs by Cocody Factory Cote d’Ivoire, Floor lamp and crochet and striped chairs from Rock the Kasbah, Tunisia. 3-seater couch from Zina Boutiqwue Tunisia. Painting by Kablan (Cote d’Ivoire). Stacked rainbow tables for easy storage after entertaining. Painting of Tunisian woman on reclaimed wood by Ibrahim Matouss (right) and water painting by Ymen Berhouma. Storage console by metal design artist Hamed Ouattara. Square dinner table by Zina Boutique, Tunisia. Glass bead chandelier by Green Room, Tanzania. Artwork by Ymen Berhouma and Ibrahim Matouss. 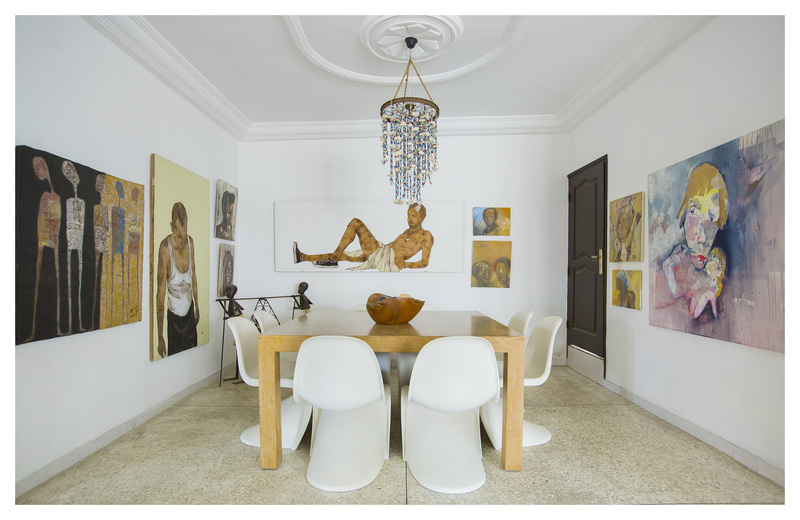 White Panton chairs and painting (leftmost side) by GEMS Cote d’Ivoire. 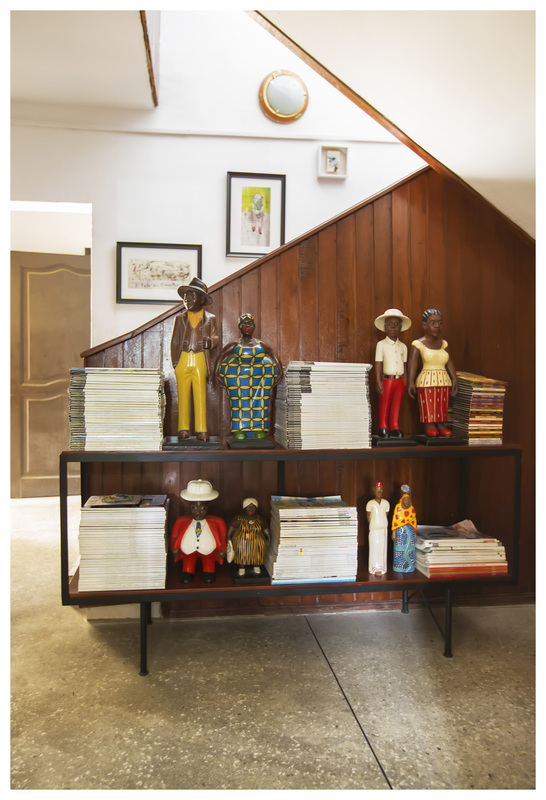 Furaha’s stairwell features figurines by Leon Guetta, the owner of Gallerie Amani in Abidjan, Cote d’Ivoire, alongside a collection of design magazines dating back five or more years. An avid long distance runner, Furaha has a pair of running shoes all over the house. The stairwell gallery wall of hand drawn illustration by Tunisian artist Ymen Berhouma rounds off the wood paneled staircase. 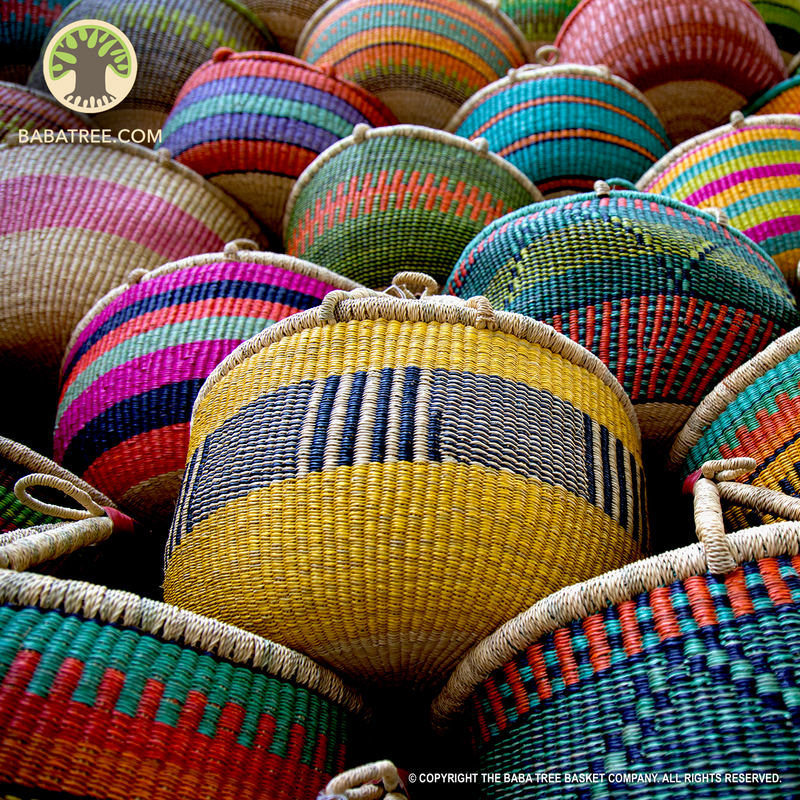 The banana fiber statuette collection by a local artisan in Fort Portal, Uganda depict everyday Ugandan life such as riding the country’s infamous ‘boda bodas’. Today I invite you to the very first edition of Blueprint Africa’s new home tour series: We Live in Trees focused on unpacking ‘African inspired’ decor. It is my cheeky response to the cringe-worthy question many first generation Africans were faced with while living in the ‘West’. 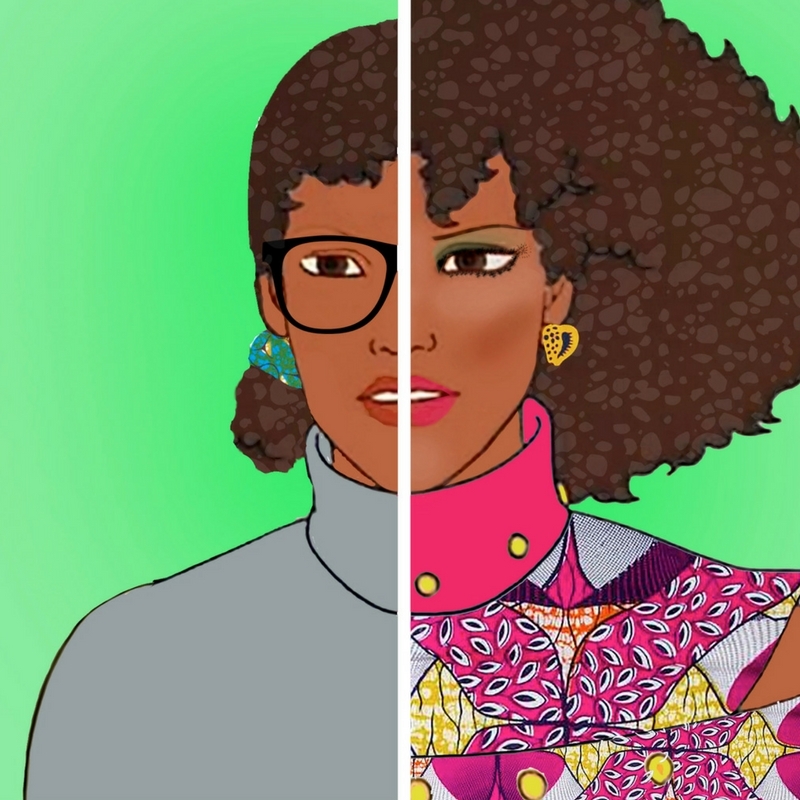 The series will focus on the interiors of everyday Africans – the wealthy and underprivileged alike. I will invite you into the homes that I consider shrines to design in some unique way. I hope you will join me regularly as I peel back our thatch roofs and show you some true African hospitality. First up on the discovery tour: the home of multi-dimensional fashion brand owner Furaha Bishota. 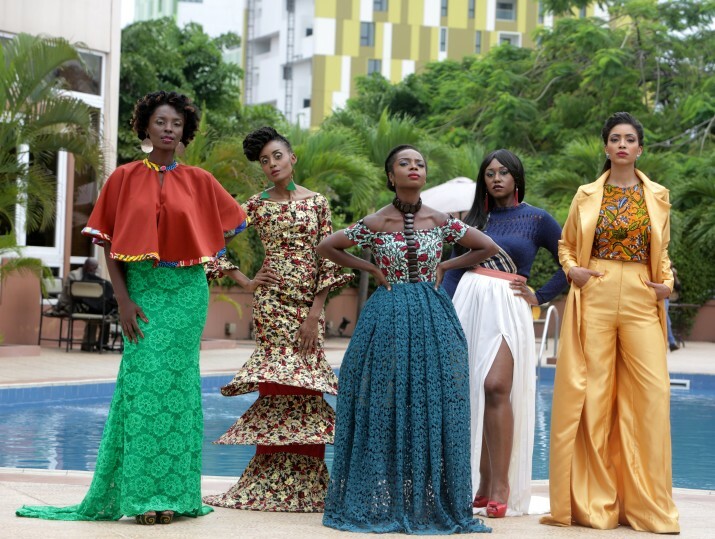 Furaha disowns the title of designer for fear of appropriating something to which she is not entitled given her lack of formal education in fashion. With a background in chartered accountancy and audit, she sees herself more as a fashion entrepreneur and creative than a designer. Following the success of her African inspired handbag and accessories brand Kikapu, Furaha is now launching her second label CocoLili dedicated to women’s business attire. Finding it difficult to describe her interior style “because I pretty much love everything”, Furaha settled on a contemporary rustic aesthetic which speaks to her love of texture and art. Despite her blossoming fashion brand empire, Furaha still maintains a demanding full time job while also raising three children. During the photo shoot her youngest two kids run gleefully in circles around photographer Rwolhand Tayoro as he set up in the middle of the gazebo and outdoor terraces – spaces that are usually the children’s play areas. When asked how she manages her side hustle, professional career and motherhood she gives all praise to her housekeeper. Furaha’s life centers mainly on the first floor of her home with several bedrooms serving primarily as storage for her regular African inspired décor hauls. Her bedrooms serve a mainly utilitarian function and are comparatively sparse relative to the rest of the home. 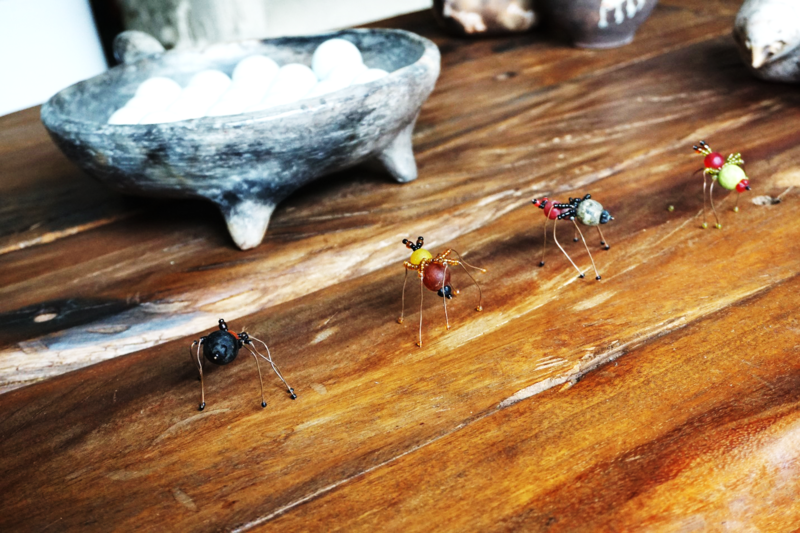 Furaha describes her appetite for art as “insatiable”. She counts the likes of Mederic Turay and Hermann Boussou among her favorite new artists. However, home design is not always a pleasant topic for Furaha as it brings up painful memories of a close friend and dreams dashed. I ask Furaha at the end of our tour, what is her takeaway from ongoing trends in African inspired design. She says she loves the fact that the creative scene is becoming more mainstream and that it is not as shunned upon as it was in the past. In her view, artists and creatives can now make a living doing what they are passionate about. She adds that what makes her even happier is the fact that Africans themselves are now becoming consumers of those art works. She believes that in the creatives business there is room for every one with an idea. What is of most importance in her opinion is the ability to be patient, and to not take shortcuts or give up until you realize your dream. Below are selections from the CocoLili Look Book Spring 2016. Order at info@cocoliliafrica.com.